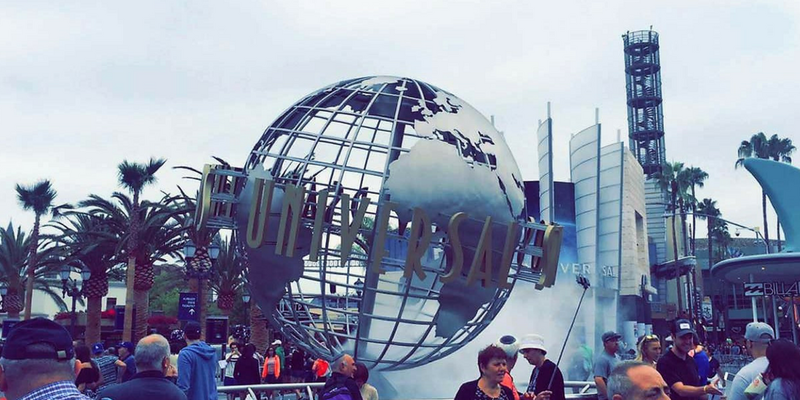 Being a huge fan of film and TV, when planning a trip to the West-Coast and Los Angeles, a Universal Studio tour was on top of my to do list. As briefly mentioned in my last post, before doing research, I had no idea that the studio tour was actually part of a wider Universal theme park. This discovery only made the prospect of going even more exciting! 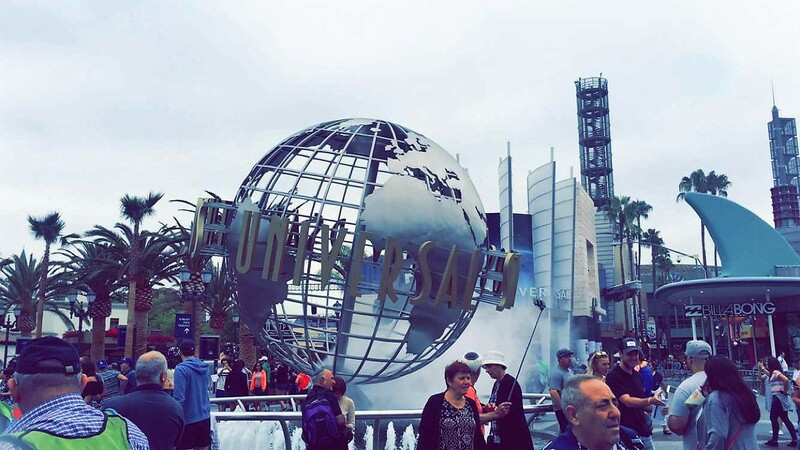 Check out our post: Universal Studios Hollywood (The Park) for a full review on my experience of the park. It was about mid-day when we followed the signs in the park to the studio tour’s starting point which, as the park is situated on top of one of the many ‘Hollywood Hills’ actually turned out to be quite a feat. 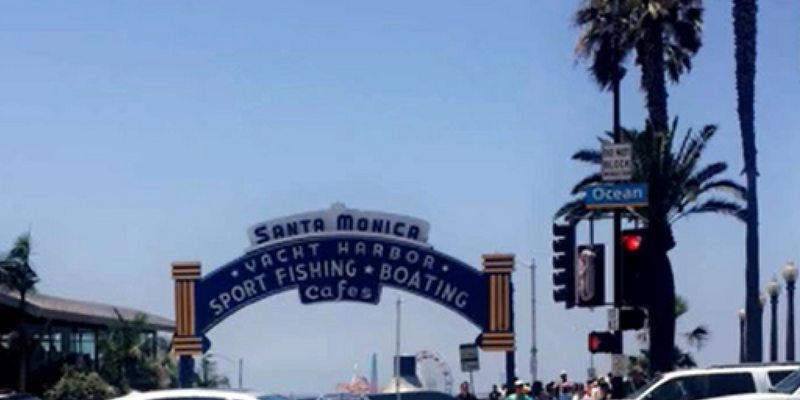 You’ll certainly get a lot of exercise if you visit! Well… if you decide to take the stairs down to the ‘lower lot’ (where the tours originate). Luckily, there’s the longest escalator I have ever seen that can also take you down to the bottom. And so while my brother, for some absurd reason took the stairs, I quite happily trundled down the hill on the escalator. Once reaching the bottom, almost instantaneously (thanks to our front of the line passes) we were, somewhat confusingly, given 3D glasses before being directed onto a sort of golf cart-Tram hybrid. Through popular media, for some reason I’d always assumed that you got to walk around the sets. In truth, that’s just for VIP’s. An experience, which I would have opted for if it didn’t cost an eye watering $330 per ticket. So being on the standard tour, we set off in the… let’s refer to it as a vehicle… and began driving further down the hill to the studios. Our tour guide/driver, bless his heart, was obviously instructed to act in the stereotypical American customer service manner. Using all the corny, but somewhat amusing catchphrase’s such as ‘hope your’re all having a marvellous day’. 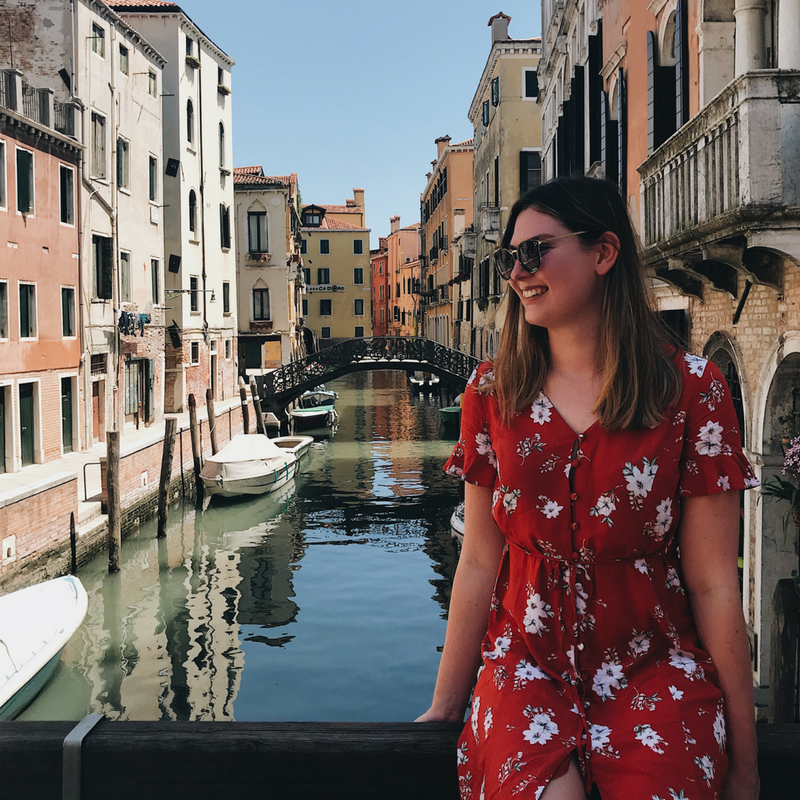 The tour was also filled with cringy clips of Jimmy Fallon – whose show I honestly think is very funny but, on this occasion, the humour was somewhat lost not only on me but seemingly everyone on the tour. People were there to see Universals famous backlots, not to awkwardly play along with a fabrication about saving Jimmy Fallon and the Fast and Furious crew from M15 spies. Something, which was exacerbated by several 4D ‘experiences’ doted around the tour – this is where the glasses came into play. I believe Universal can’t show such a large number of people much of the studios – which is understandable as filming would be disturbed. But, in my opinion, the tour could have done without being padded out with the naif ‘add on’s’. A shorter tour or more time looking at old sets would have perfectly sufficed. 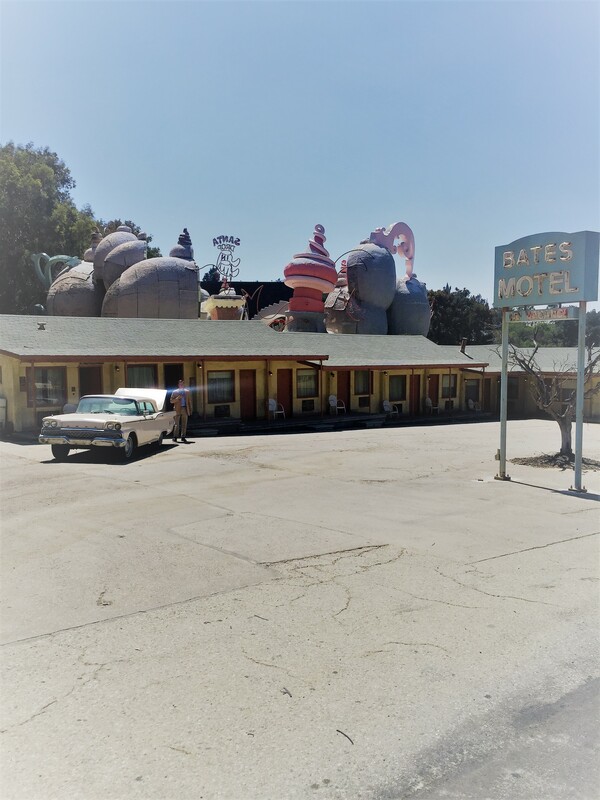 The elements of the tour within which you actually got to see famous sets – such as the Jaws lake, Mysterio Lane and Bates Motel were incredible and fascinating. I only wish we could have seen more. I would have to say that the Tour overall was a disappointment. It was not what I was expecting, nor did you get too see as much as I would have hoped. Thankfully, having an amazing day within the rest of the park – overshadowed the disappointment. But to others looking forward to the studio tour – I’d say don’t get you hopes up. DISCLAIMER – no offence is intended to anyone working on the tours – our guide was lovely.